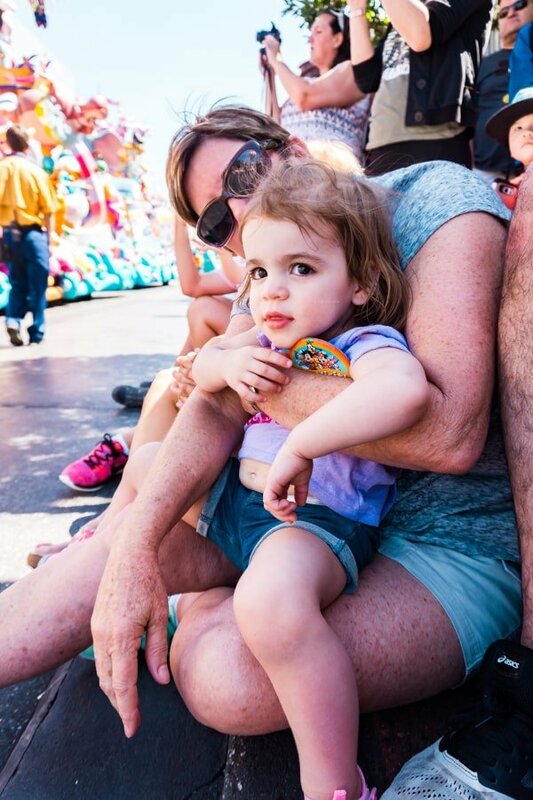 Planning a Disney Vacation can be overwhelming, especially if it’s a trip with young children. So I’ve put together a HUGE post with everything you need to know about planning an awesome family vacation to the Walt Disney World resort! 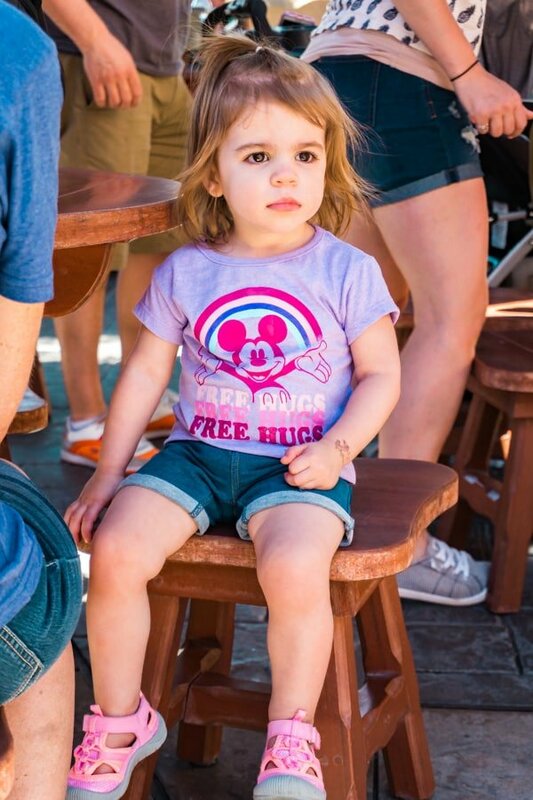 We recently took our very young children to Disney World. Now, I’m not going to lie, I originally wasn’t on board with this. I always knew we would take our kids there at some point, but the idea of bringing them at such a young age (T is a very new 2 and A will be 4 in a couple short months) seemed daunting and also a like a ton of money for a trip they may not even remember. But J was raised minutes from Disneyland and has fond memories from trips to see the mouse at a very early age. And since our kids live for all-things-Disney, when an travel opportunity to go to the West Palm Beach area came up, we figured, why not spend a few days in Orlando as well? Well, eventually we got the our parents involved (they all love Disney too!). A couple days turned into a week in Orlando and suddenly we had some planning to do. Now, I won’t lie, Disney World planning can seem daunting at first. There is so much information out there and once I started really digging in, I realized we should have totally started planning much earlier than we did! 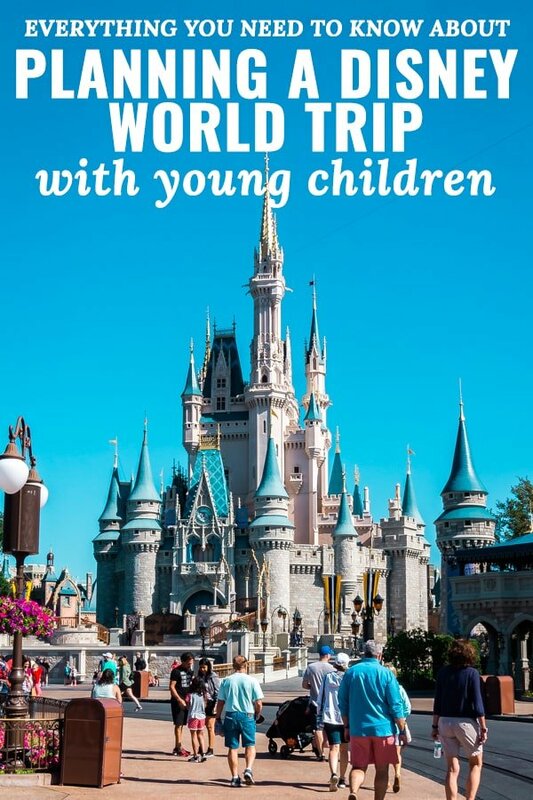 Expert tip: It’s never too early to start planning your Walt Disney World vacation! But it all worked out and we had a fantastic time (and I am now so glad we took our girls to Disney World while they’re this little!). 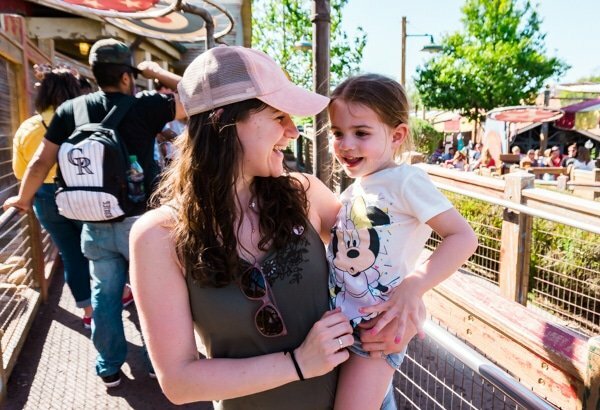 So I decided to write a few posts to share my tips and tricks for doing Disney World with toddlers (well, actually a toddler and a preschooler in our case). I learned a ton and I’m so excited to share it all with you! Let’s start at the very beginning. 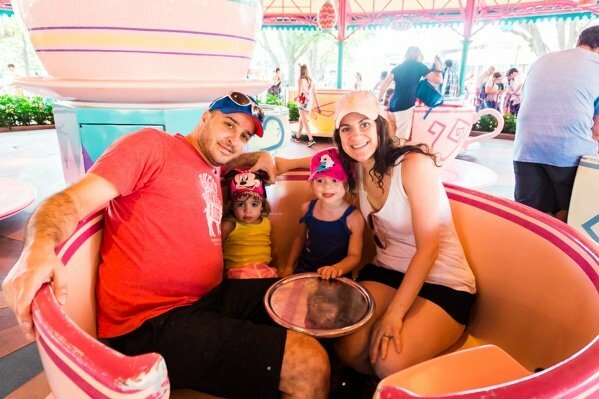 You’ve decided a family vacation to Disney World is something you want to do- awesome! Get excited! Although any travel with little ones is a lot of work, you will make some insane memories and have moments that will be with you forever! First, you need to figure out where you’ll be staying. Staying on site: Although we didn’t stay on Disney property for this trip, I’ve done it before and it truly is a magical experience. 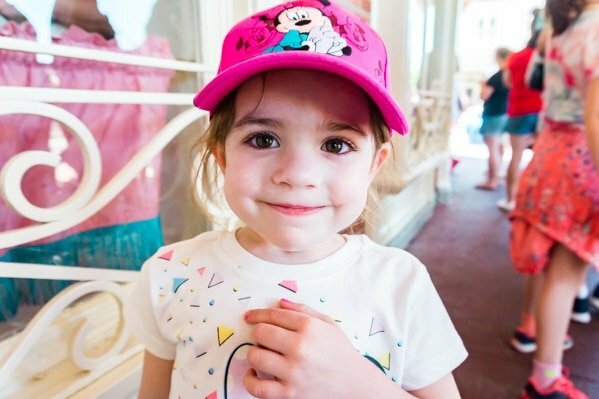 Pros: Extra magic hours, earlier fastpass reservations and perks for making dining reservations, awesome resorts, the ability to go easily get back to your room for nap time, full-on Disney immersion (if that’s how you roll! ), not having to rent a car because Disney offers transportation all over their sprawling property. Cons: Although there are value option, it can be pretty pricy in general, not having transportation if you’re wanting to leave the property, full-on Disney immersion (because that may not be how you roll). Staying off-site: We were able to get an insane deal on a condo with my in-law’s timeshares, which they were gracious enough to allow us to use. We stayed at the Blue Tree Resort in a condo that was just perfect for our situation. Very clean. Located just over a mile from the Disney Property, near everything we needed. They also had an excellent pool area for kids, which we all loved! Pros: Potentially cheaper (not necessarily though! ), the ability to have a car if that’s a part of your trip (that was a part of ours as we drove to the West Palm area after our time in Orlando was through), your own kitchen and more amenities like home, it’s a little easier to explore the rest of Orlando or other parts of Florida if you want to. Cons: None of the perks for staying on Disney property, the need for transportation, having to get up and leave earlier if you’re trying to be in the parks for rope drop (I highly recommend this for a variety of reasons), not as easy to leave midday and go back in some cases- although we did and it worked out just fine. Choose a condo over a hotel: this pretty much goes for any vacation with young children. 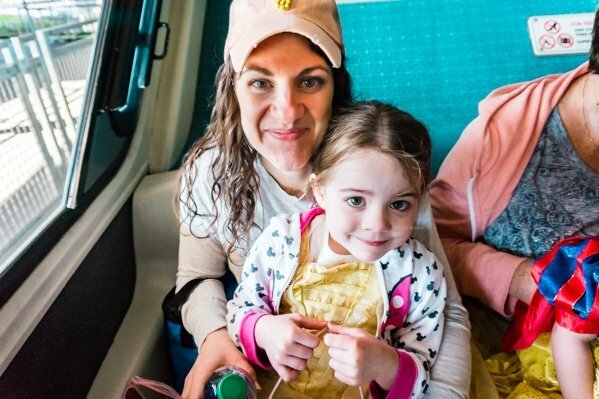 Traveling can be hard, especially because it gets kids off their usual routine. One thing that will help you stay a bit closer to that routine and make things easier is to have more of the amenities of home, specifically a full kitchen to make them breakfast, lunch and even dinners on non-park days! Try to stay in a place that is close to the Disney property: Our condo was 1.4 miles from the Disney property and this was extremely convenient. Take advantage of shuttles that your resort offers…but only if it makes sense: Parking at the Mouse is not cheap. But at our resort, the shuttles went out at very random times of the day and it made more sense for our current situation to drive ourselves to and from the park. Rent a car: Orlando has more to offer than just the parks, get out and check things out! Try to stay at a resort with things to do: Like I mentioned above, the pool area at our resort was fantastic- they had a 2 foot deep kiddie pool that we all loved to sit and play in. It helped us break up our park days. It also had a mini golf course and a small playground which made our gals very happy! Budget: The more days you spend in the parks, the more cost-efficient the tickets get. There are certain sites that offer some discounts like AAA and Undercover Tourist (there are others too but be wary because there are a ton of scammers out there!). I’ve found that the discount sites only really offer decent value if you’re buying tickets for for 3+ days. How many days you’ll want to spend in the parks: This will vary based on budget, but also consider your kids and their needs. For our kids, we knew that we didn’t want to overdo it and overwhelm them. The combination of that thought and our current budget helped make our decision pretty easy. Type of ticket: Disney offers a few different types of tickets. The type of ticket you get will depend not only on budget, but also on what is best for your family. 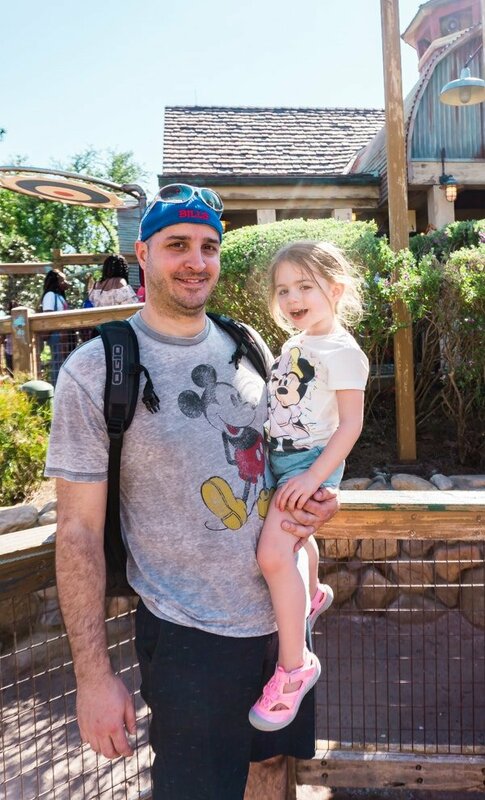 For our kids, we considered Park Hoppers but ultimately chose the option of Single Park Tickets because transportation between parks can eat up a lot of time and more specifically because our kids are pretty young and we wanted to go slow and not overwhelm them. Expert tip: If staying off-site and buying multiple tickets for your group, put them all on one credit card if possible. When you go to enter the park on that first day, they’ll ask to see the credit card that purchase the tickets and if you’re in a decent size group it could save you some time- it sure did for us. Bonus tip: You do have the option to upgrade a Single Park Ticket to a Park Hopper on your way out to the next park that day (as confirmed by a family member who is also a cast member). So when in doubt, get a Single Park Ticket knowing that you can always upgrade it on the day-of. Single Park ticket– For this one, you’ll only be able to visit one single park for the duration of that day. These tend to be a bit cheaper although Magic Kingdom is a bit more expensive than the other parks. In my opinion, this is the best option for younger children. Park Hopper ticket– These are more expensive but they allow you to hop between all parks each day. Park Hopper Plus ticket– These are park hoppers that also have admissions for the water parks and a few other on-property options included for park days. Which parks to visit: Part of this will depend on how many days you’ll be visiting the parks. Since we only opted for two park days, we knew that we would have prioritize the parks we felt were best for our girls. Many of my Disney-savvy friends told me that Epcot tends to be better for older children. Hollywood Studios did have the draw of lots of Disney Junior Characters and plenty of shows to watch, but when we were there it was under construction as they were building the new Toy Story Land (although once that’s built it might be a bigger draw for little ones). Initially, we were planning on doing one day at the Magic Kingdom and one day at Disney’s Animal Kingdom. We ultimately decided to spend both days at the Magic Kingdom. Although they love animals, there is just more for kids of their young ages to do at the Magic Kingdom. We also plan to return in a few years when they’re older and will likely stay on property and explore more of the other Parks at that time. Additionally, this would allow us to really take our time and go at their pace without feeling the urge to rush through out of fear of missing something. 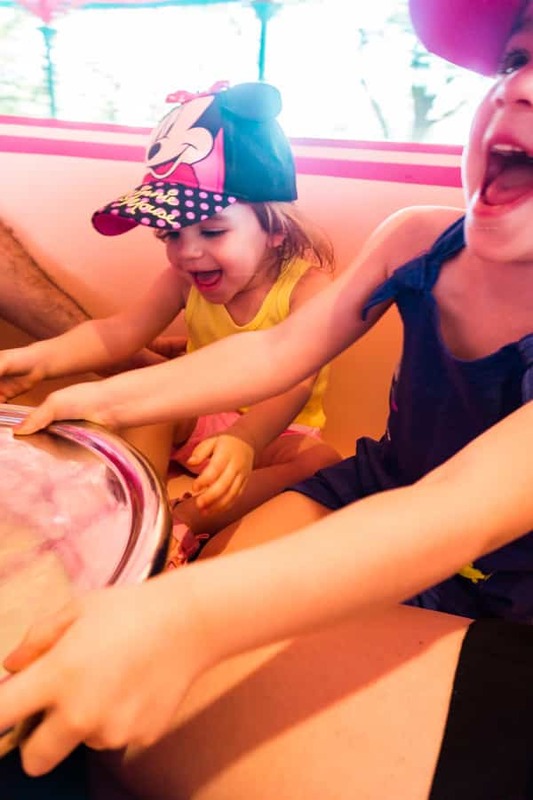 How to break up your park days: For a Walt Disney World trip with little ones, I strongly encourage you to take days off in between park days, whenever possible. A day in the parks will wipe all of you out. 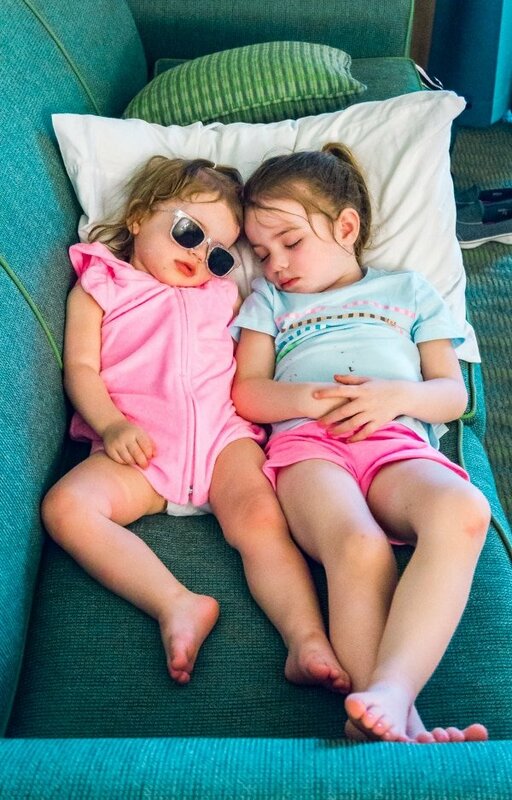 It can be a super long day and we were all so glad to have a day between park visits to sleep in, have a leisurely breakfast, relax by the pool and get our energy back for another busy day at the Magic Kingdom. Rest up and enjoy your resort’s amenities! Once you’ve got your accommodations and tickets, download the My Disney Experience App and start planning! Although your main reservations are made, your planning doesn’t end there. Oh no, my friends, it’s just beginning. Now you’ve got to schedule your fastpasses and dining if you’re planning on eating at those type of restaurants. You’ll want to be more on top of this than me. I was completely unprepared for this. Don’t be like me. Character locations: You can see which characters are in the parks at any given day and time and where they’re located. In addition to being helpful on your park days, in the weeks leading up to our trip, I would open the app and my girls and I would go through and see which characters were out (A would say “can we see who’s out and about?”). Wait times: This is also helpful in advance because you can monitor the wait times in the days leading up to your trip and plan accordingly. Be sure to take into account when the busy times are vs slow times for the parks. FastPass+: Can be reserved in the app or on the Disney website. You’ll also use the app in the parks to schedule more FastPasses once you’ve used your first three. FastPasses can be booked up to 30 days in advance to your trip if you’re staying off property and up to 60 days in advance to your trip if you’re staying on property. These will fill up fast, so set an alarm in your phone and be on top of this! You can start booking in the app or on Disney’s site at 7am EST 30/60 days in advance. Expert tip: Once you’ve used all three of your FastPasses you can schedule more. Additionally, you can move FastPass+ reservations around as you start using them. For this reason, I’d encourage you to try and make your first three FastPasses to be between the hours of 10am-2pm with around an hour in between each one. This way you’ll have room to move them around if a good FastPass pops up while you’re in the park after you’ve used your first one (check it throughout the day- it really helped us avoid so many lines!). Dining: Some restaurants (especially character dining experiences and super popular ones like Be Our Guest) will require advance reservations, which can be done through the app or the website. If you’re staying on-site you can purchase a Disney Dining Plan to help budget dining costs in advance and try to save money. This is not available to off-site guests. But all guests, regardless of accommodations, can book reservations at the restaurants. Dining reservations can be booked up to 180 days in advance to your trip. If you’re staying on property you can book the first 10 days of your trip from that 180 days mark. If you’re staying off-site, you can only book a day at a time beginning at the 180 day mark. Expert tip: If you’re not able to get the reservation you want, try calling a few times in the weeks leading up to your trip. People will often overbook and then cancel the ones they don’t want to keep as they get closer to their trip so a reservation could open up. If all else fails, call at the beginning of your trip and see about last minute cancellations or if they can simply squeeze you in. It’s worth a shot. Order food: You can totally order food using the the app, which is a total time saver! Use the map: This is obviously helpful in the parks, but also in advance to help you plan! 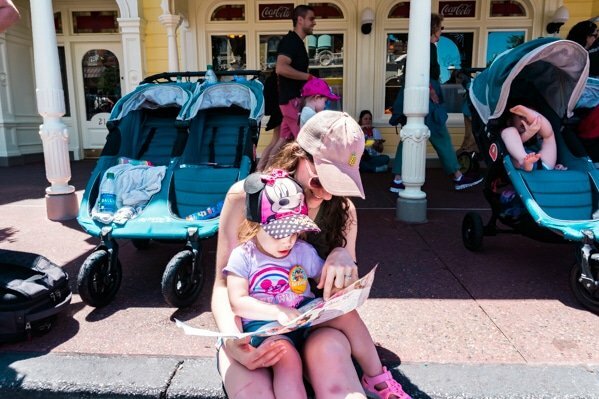 Manage your expectations from the start: This is especially true if you’ve been to the parks under different circumstances (ie: without kids or with older kids). Things will go slower. You may not get to go on the wild rides you’re used to. Meltdowns will happen no matter how well behaved your kid is. Go in with an open mind and low expectations and you’ll find that you have a great time at a slower pace. Don’t over-plan: It can be so easy to try and over-plan everything. But as well all know, with little ones things can change at the drop of a hat. You probably won’t get to do every little thing and that’s ok. At the end of the day it’s about your kid and the whole spectacle of it all will be plenty for them and their joy will be plenty for you! Be flexible: If you’re a long time reader here, you know that I can be pretty strict with my kids. We stick to a routine and try to nap at the same time each day. 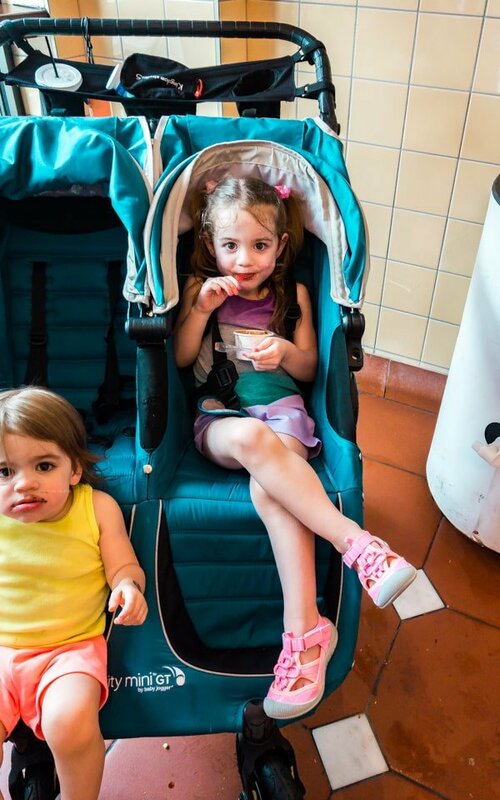 My kids don’t normally snack (outside of a single one at daycare and on special occasions) they just get their three meals a day and are generally satisfied with that- they eat a lot at meals since they aren’t filling up between them. But at Disney World and on vacation in general, I tend to ease up a bit. I allow them to have snacks. We didn’t enforce naps on park days (naps didn’t happen much on this trip in general, and though rough, we got through it). I really eased up on a lot of my normal rules on this trip and at the parks. When all was said and done, it all turned out fine and the girls had a blast. Bring food: For a few reasons. You’ll save money. You’ll have snack options on hand when you guys get hungry. That doesn’t mean you can’t get snacks and meals in the parks (don’t miss that Dole Whip!) but it’s nice to have your own snacks available in a pinch, and I personally preferred the sandwiches we packed for lunch over the quick-service options. Expert tip: Small, soft-sided coolers are permitted in the parks! Get the kids excited: While I love those videos of kids finding out that they’re going to Disney the day they leave, we told our girls in advance and really amped up their excitement prior to leaving. We bought special Disney shirts. We watched this DVD (technically Disneyland, but it got the desired effect! ), we looked at the app each night to see where the characters were hanging out in the parks. We watched Disney movies to prep for the characters we would meet. I won’t lie, I’m almost a little sad we’re no longer planning a Disney trip, the lead up was so much fun and J and I got really excited too! Although we seriously love our City Select – side note, I cannot recommend this convertible double stroller enough. We got ours before A was born because we knew we wanted two kids and didn’t want to have to buy a whole other stroller. Anyway, we didn’t want to deal with lugging our stroller with us in addition to our suitcases and both carseats (which we also used on the flights- total hassle, but safety always wins). You could go without a stroller but I don’t recommend it. It’s a super-long day and it’s nice for the kids to have a place to sit down and relax (maybe even nap!). We rented a City Mini GT Double stroller from Kingdom Strollers. The people we dealt with at Kingdom Strollers were super friendly and easy to work with. They delivered the stroller to our resort and picked it up at the end of the trip. They included a stroller rain cover, parent console and a cooler bag upon request for no additional charge (we used that cooler so much- it was amazing!). They also label the stroller with your family name to make it easier to identify. The stroller was clean and in excellent condition, with minimal wear and tear (they clean them really well between each rental!). They had other options with more bells and whistles but we went with the City Mini GT Double because it’s a brand we already know and love. It handled super-well and was designed to fit in single doors, even though it’s a side-by-side. Expert Tip: I strongly encourage you to get the optional insurance when renting a stroller. We had a little situation during our stay that made me very happy that I opted for it. After our first park day, we got back to our rental car to find that it wouldn’t start. Long story short, the car rental company ended up having to bring us a new van and switch them out at the Magic Kingdom parking lot in the middle of the night (Justin installed our sleeping girls carseats into the back of my Aunt’s Audi and took them back to the condo while our parents waited). The next time we went to use the stroller was two days later, our next park day. When we opened the trunk of the replacement van, we found that our stroller was missing a wheel. I don’t know exactly what happened because the stroller was rock-solid all day the previous day at the Magic Kingdom and everything was intact when Justin put the stroller into the trunk of the old rental car that broke down. The only thing I can think of is that at some point, likely the transfer between vans in the middle of the night, the wheel came loose and was left in the broken down van- it was after midnight after a full park day in the dark of night. I really think it was just a fluke. I didn’t call Kingdom Strollers about this until that evening because we were waiting to hear back from the car rental company to see if they had the missing wheel and we didn’t want to lose any valuable time on our last day in the Magic Kingdom waiting for a new stroller to be delivered. We ended up renting a stroller at Disney World. While this wasn’t as bad as I thought it night be, the stroller there was way more expensive, much less comfortable for the girls and had minimal storage. Not ideal but it did the job. When I called the stroller company about it, I was a little nervous. But they were so gracious about the whole thing. They told me that because I had insurance, it wasn’t a big deal, just to have the car rental company mail them the wheel if it turns up. Full disclosure: they didn’t offer to bring us a new stroller, but I honestly believe that’s because I didn’t speak with them until that evening, which was the night before they were scheduled to pick it up (we were leaving the next day and when I called them the first thing I said was that they were schedule to pick it up midday the very next day- so they knew we weren’t going to be using it again before their pick up). 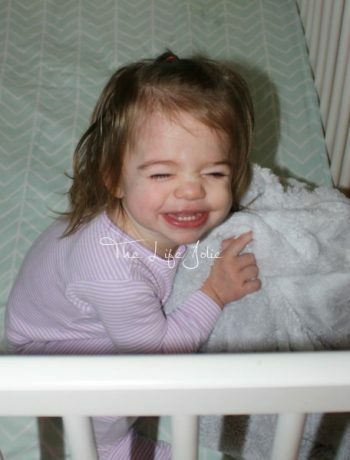 Overall, I was very happy with my experience with Kingdom Strollers. I’ll definitely use them again if we get back to Disney while my kids are still little and I recommend them to you guys as well! I’m so excited to share even more of the tips and tricks I picked up along the way in my next post about when you’re in the park.